Guess who beat out Bill Gates for the top spot in a new daily ranking? 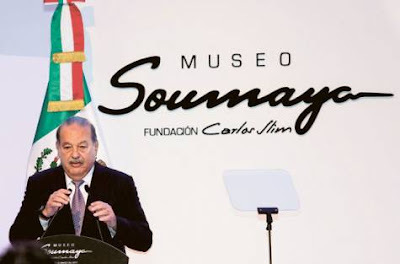 Carlos Slim, the telecommunications tycoon who controls Mexico's America Movil SAB (AMXL), is the richest person on Earth, according to the Bloomberg Billionaires Index, a daily ranking of the world's 20 wealthiest individuals. 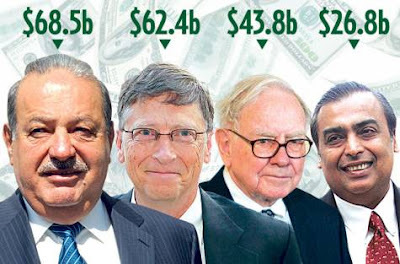 The 72-year-old's net worth fell $478.4 million in a day to $68.5 billion as of the close of markets on March 2, as U.S. moguls Bill Gates and Warren Buffett placed second and third on the list compiled by Bloomberg News. Brazil's Eike Batista, who ranks 10th, still covets the top spot after vowing a year ago that he'd become the world's wealthiest man by 2015. "I'm competitive," Batista, who trails Slim by almost $39 billion, said in a March 2 telephone interview from Rio de Janeiro. "It's Brazil's time to be No. 1. Brazilians have always admired the American dream. What's happening in Brazil is the Brazilian dream and I happen to be the example." The Bloomberg Billionaires Index takes measure of the world's wealthiest people based on market and economic changes and Bloomberg News reporting. Each net worth figure is updated every business day at 5:30 p.m. in New York. The valuations are listed in U.S. dollars. 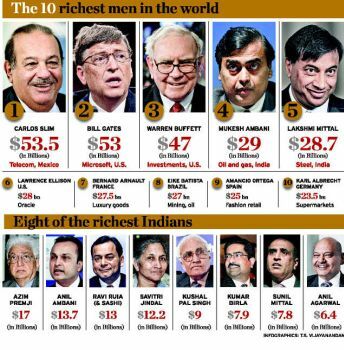 Today's ranking was published with the release of new billionaires profile pages in the Bloomberg Professional service. The profiles feature a transparent analysis of how each billionaire's fortune was calculated. Slim's fortune has increased 11 percent this year, according to the index. A spokesman for Slim didn't immediately return a telephone request for comment. Gates, 56, co-founder of Microsoft Corp. (MSFT) in Redmond, Washington, is worth $62.4 billion, down $102.1 million on March 2 and up 11 percent year to date. The fortune of Buffett, 81, chairman of Omaha, Nebraska- based Berkshire Hathaway Inc. (BRK/B), declined $336.9 million to $43.8 billion on March 2 and is up 2.4 percent in 2012. Almost all of Buffett's wealth is held in Berkshire Hathaway, the publicly traded holding company he has run since 1965. Number seven is Larry Ellison, 67, chief executive officer of Redwood City, California-based Oracle Corp. (ORCL), the world's third-largest software maker after Microsoft and SAP AG. (SAP) His $38 billion fortune puts him $4 billion ahead of brothers Charles and David Koch, who each own 42 percent of Koch Industries Inc., one of the biggest closely held companies in the world by revenue. Charles, 76, and David, 71, control the Wichita, Kansas, refiner and chemical maker. Batista, 55, whose investments range from iron ore to coal, is worth $29.8 billion, up $133.9 million on March 2. His fortune has grown 32 percent this year, the most on the list. Sheldon Adelson, the casino magnate who owns 47 percent of Las Vegas Sands Corp. (LVS), which operates resorts in Macau and Las Vegas, is number 13 with $25.7 billion. Adelson, 78, and his family have pledged at least $10 million to a super-PAC supporting Newt Gingrich, a Republican presidential candidate. Liliane Bettencourt, 89, who with her family owns 31 percent of Paris-based cosmetics company L'Oreal SA (OR), is last on the ranking. Bettencourt was the subject of an international scandal in 2007 when her daughter, Francoise Bettencourt Meyers, filed a lawsuit accusing a family friend, photographer Francois- Marie Banier, of exploiting her mother's frail state. Evidence later revealed Bettencourt had granted more than $1 billion in cash and gifts to Banier. In October, Meyers and two grandsons became guardians of the clan's $22.4 billion fortune. Mark Zuckerberg, the 27-year-old founder of Facebook Inc. (FB), the world's largest social-networking company, didn't make the cut. Based on a roughly $100 billion valuation the Menlo Park, California-based company has been trading at in the private market, Zuckerberg's stake may be worth $21 billion, or about 25 percent less than previous estimates, once Facebook holds its initial public offering. The reason: Facebook will issue more than 500 million shares of its Class B stock at the offering, diluting Zuckerberg's ownership to 21 percent after he exercises 120 million options and sells about 42 million shares to cover the tax bill associated with the gain from those options. Sweden's Ingvar Kamprad is the richest European, according to the index, ranking fourth globally with a $42.5 billion net worth. Kamprad, 85, controls Ikea Group, the world's largest furniture retailer, through a series of trusts and foundations he asserts he doesn't own. Bernard Arnault, the chairman of LVMH Moet Hennessy Louis Vuitton SA (MC) , places fifth. The majority of Arnault's $42.3 billion comes from his stake in Paris-based LVMH, the world's largest maker of luxury goods. Arnault, 63, controls about 46 percent of LVMH's outstanding stock through his family group, according to the company's latest annual report. Amancio Ortega, whose publicly traded Inditex SA (ITX) owns the Zara clothing chain, is Spain's wealthiest individual and sixth in the world with a $38.8 billion fortune. Ortega, 75, has invested dividends from Arteixo-based Inditex into a real estate portfolio that owns office and retail properties in the U.S. and Europe. No Russians appear in the index as falling metals prices hurt the fortunes of many of the richest oligarchs. Alisher Usmanov, 58, the Muscovite who controls the Metalloinvest metals and mining company and Digital Sky Technologies, which currently owns 5.5 percent of Facebook, is Russia's wealthiest person thanks to a $20.1 billion fortune. Mukesh Ambani, 54, leads Asians with a net worth of $26.8 billion, down $185.4 million in a day. 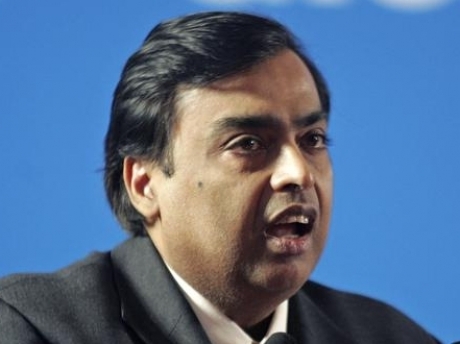 His fortune is up 25 percent this year, according to the Bloomberg Billionaires Index, as his shares in India's top company by market value, Mumbai-based Reliance Industries Ltd. (RIL), have risen 17 percent. Hong Kong's Li Ka-shing, nicknamed "Superman" by the local media for his investing prowess, ranks second in the region, with $25.8 billion. Li, 83, owns large stakes in Hong Kong-based property developer Cheung Kong Holdings Ltd. (1), Hong Kong shipping and ports operator Hutchison Whampoa Ltd. (13) and Husky Energy Inc. (HSE), the Calgary-based energy company. Lakshmi Mittal, the India-born chairman of ArcelorMittal (MT), the world's biggest steelmaker, is the third-richest Asian, with holdings valued at $23.6 billion. In addition to his ArcelorMittal stake, the 61-year-old London resident owns hundreds of millions of dollars in U.K. real estate. On the rise: Gina Rinehart, the Australian mining heiress who is worth $20.4 billion. Rinehart, 58, the daughter of the man who discovered the mines that made Australia the world's biggest iron ore exporter, inherited perpetual royalty rights to some of Rio Tinto Ltd. (RIO)'s Hamersley mines in addition to other thermal and iron-ore deposits throughout the country. Soaring demand for coal and iron ore from China have made Rinehart's assets attractive to acquisitive industrial companies. In separate deals in the past year, steelmakers Posco and GVK Power & Infrasture Ltd. (GVKP) agreed to pay a combined $2.9 billion for pieces of Rinehart's empire.